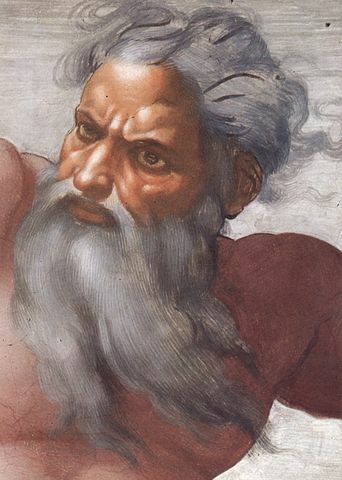 This is a pretty popular image of God, perhaps what we have been taught to imagine he looks like. It’s impossible to definitively tie down the physical attributes, but I want to turn the image of God round. When our eldest son was born, the doctor said to me, “You’ll never be able to leave him anywhere, he looks so like you, he is your image”. The family likeness was indisputable and obvious. I would love to be able to paint. But I can’t, I’ve tried. Whatever I try and recreate looks nothing like what to is meant to be. There is no recognisable likeness. We are made in God’s image. I am made in God’s image. Yet would anyone know? Am I recognisable as such? Is God’s image visible in me? Would anyone look at me, and say, “I know who you look like, whose mannerisms you have”? Would they say, “You have captured the likeness perfectly”. Would they look at me and see God? Or have I marred the image, by me, my actions and reactions? I get in the way. and not enough of you. longing to be more like you. and may I allow myself to be so.